Having to deal with very picky eaters for a hubby and a son is not an easy task. Grateful for the availability of ever-reliable instant, ready-to-cook meal options, or dine-outs, take outs or deliveries. I have to mention also that they are not very outgoing on trying out different cuisines, unlike yours truly. 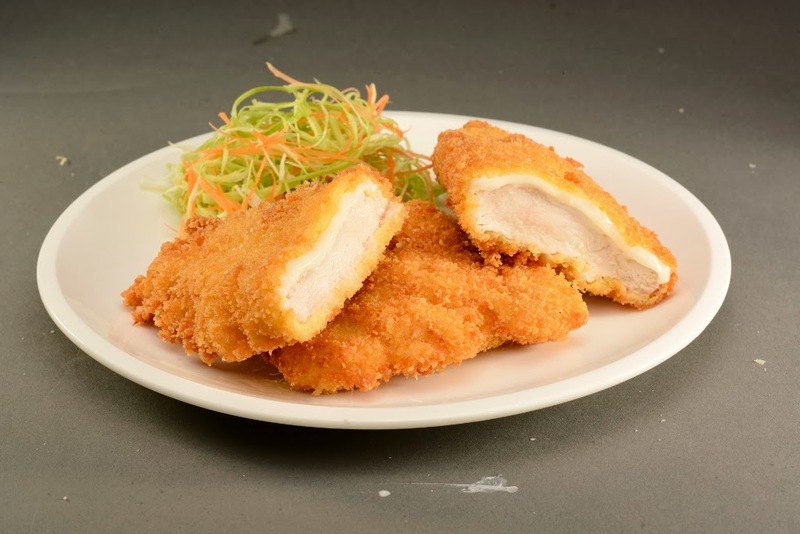 So I'm delighted of the new offering from Bounty Fresh, Top Torikatsu. Now, I made them try, like, and enjoy the ever-popular Japanese breaded chicken cutlet at home, quick and easy. It's effortless gourmet ulam (dish). 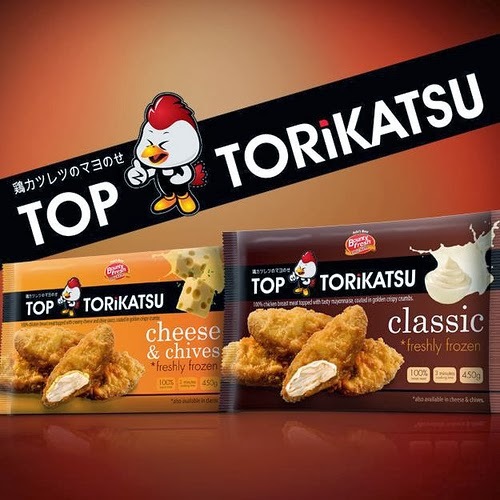 Top Torikatsu is made from the choicest, 100% chicken breasts and is coated with crispy breadcrumbs for that extra crunch and texture. 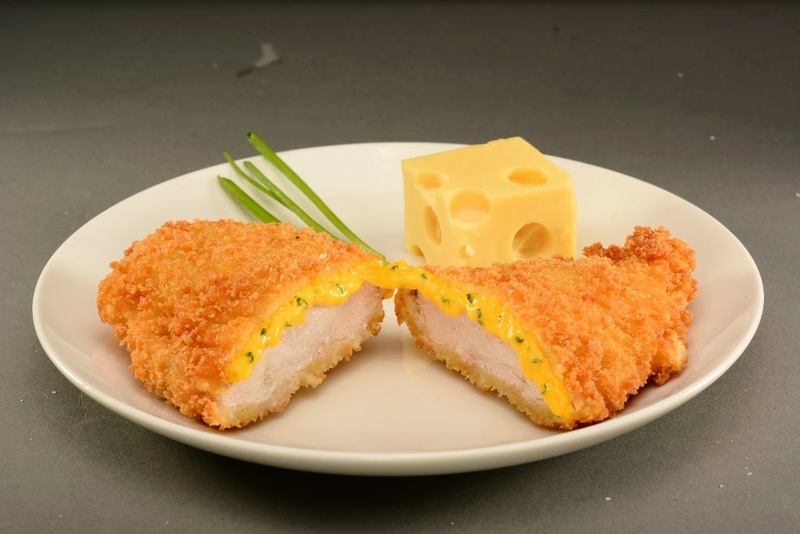 Top Torikatsu comes in two flavors – Classic and Cheese & Chives. The Classic variant is filled with delectable mayonnaise. Yes, mayonnaise! It's to our liking because we put mayonnaise even to our pizza. It makes it more tastier. The Cheese & Chives variant oozes with savory cream cheese and chives bits. This is my new favorite. It’s easy to cook, our new Ate (helper) happily swears by it. Recommended is three minutes cooking time, but she says it's 3 minutes per side, to get that nice golden brown finish. Best of all, my hubby and son, (the very picky eaters) give their seal of approval. Chase:"Best meal ever! Do we have more? Please get more!" I'm a happy mom! ^_^ Thank you Bounty Fresh and Harrison Communications. Sam YG is joined by Slick Rick, and Tony Toni of Boys' Night Out in the series of online videos that will be uploaded on Top Torikatsu’s official YouTube channel (youtube.com/toptorikatsu). Start falling in love instantly with Top Torikatsu, like Top Torikatsu on Facebook (https://www.facebook.com/toptorikatsu).